Blue Ridge Getaway-Relax on the Front Porch--Wildlife Galore! Escape the hustle and bustle to this beautiful log cabin just off the Blue Ridge Parkway. Lovely setting with pretty views from covered front porch. Chances are you will see plenty of wildlife such as deer and wild turkey. 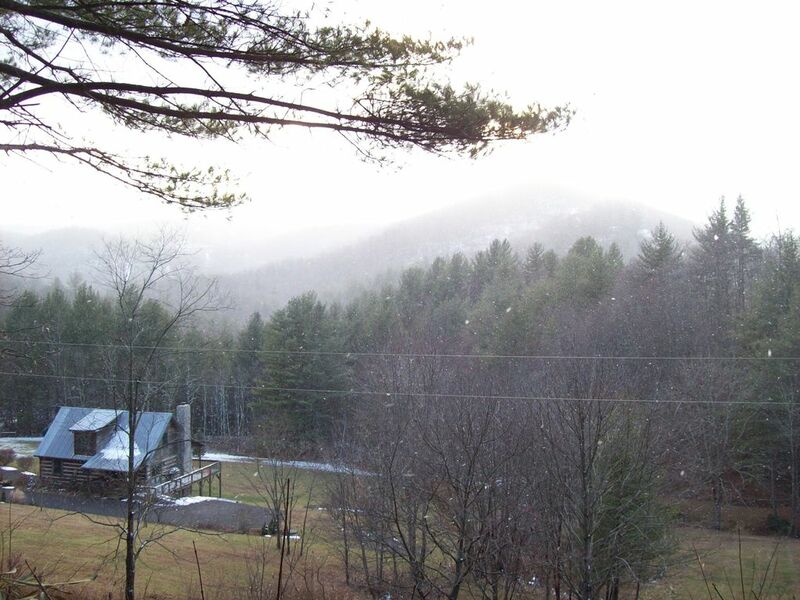 Enjoy the privacy and seclusion yet just a few minutes drive to Boone or West Jefferson. Open great room with fully-equipped kitchen, gas stone fireplace, recliner sofa... master bedroom with private bath on main level. Upstairs loft area perfect for kids with one single bed and one full size bed and separate bathroom with shower. If you prefer hiking, there are several nice walks and hikes within the area and numerous trails off the nearby Blue Ridge Parkway. Mountain Aire Golf Course and Jefferson Landing are just a few miles away. Tweetsie Railroad is a short drive for the kids and shopping at Tanger Outlet Mall is close by for Mom. The cabin is conveniently located within a short drive of Boone, Blowing Rock, West Jefferson, and several major ski resort areas. Middle age couple that enjoys the outdoors. We both work and truly enjoy getting away when we can to relax in the mountains. My wife and I enjoy the mountains and visiting the Boone, Blowing Rock and West Jefferson areas. We had rented a cabin in the area and found that this cabin was for sale. It did not take long for us to make a decision, finalize an agreement and purchase the cabin. We look forward each year to having our family gather for the Thanksgiving Day holiday where we cut our own Christmas tree and take it home. It has become a tradition and one we intend to follow for many years to come.It is a wonderful and relaxing area to visit. Very quite and relaxing. Convenient to Boone, Blowing Rock, West Jefferson and all of the attractions that are in the area. We have added a large floor to ceiling stone fireplace to enjoy quiet evenings around the fire.